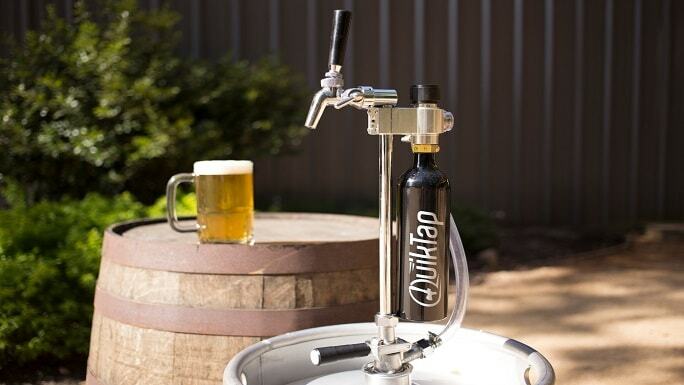 With the QuikTap ® portable CO2 keg tap, you will enjoy a variety of benefits, including: Fresh Beer, Easy Set-Up, Flow Control, Waste Elimination, and a 30 Day Satisfaction Guarantee. 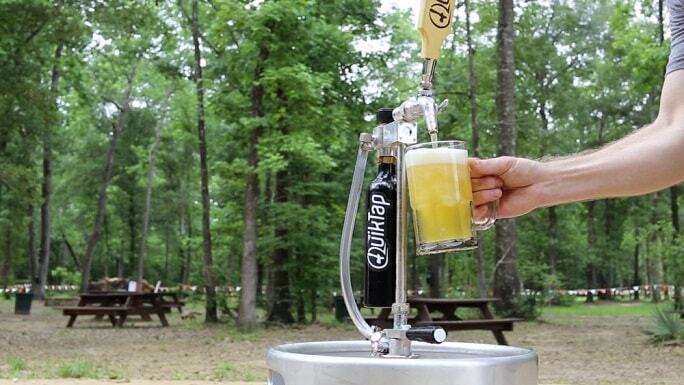 Versatile and adaptable for different beverages, kegs, bars, venues – YOU NAME IT! SAVE TIME. Easy setup and fast cleanup saves you valuable time. SAVE MONEY. Your brew is your investment – why let it go bad with older, unconventional dispensing systems? STAY FREISH. CO2 carbonates your beverage keeping it fresh, tasty, and unspoiled. HOW SHOULD I INCORPORATE QUIKTAP INTO MY LIFE? Special events, festivals, tasting rooms, coffee on tap, batch cocktails, tap takeovers, featured beverages, patios, portable bars, mobile bar service, product demonstrations, sales presentations, brand your pour, rental taps, take it to the big game, take your QuikTap camping – the possibilities are endless. Always be prepared to tap that ____(fill in the blank)____!